Editors’ note: Social democracy, a perennial rival of revolutionary Marxism, is in trouble. The “Swedish model,” supposedly a Third Way between capitalism and socialism, has lost its luster. Since about 1980, the post World War II “welfare state” in the developed capitalist countries has been savaged by neoliberalism. After the 1989-91 counterrevolutions, the triumphant Right’s political offensive has been aimed mainly at the Communist movement but to some extent, at social democracy as well. Since the 2008 slump, social democrats in government (in Greece, Portugal, Ireland and many other countries) have been involved in the imposition of austerity, thereby alienating much of what remains of their working class and popular base. Social democracy and its ruling class allies have been trying several recovery strategies. New social democratic formations have arisen (such as SYRIZA in Greece) that talk “Left” and that appear to reject some aspects of austerity. Closer to home, the Rosa Luxemburg Foundation, named after a great heroine of the Marxist Left, and with sponsorship of the German political party, Die Linke, but which is funded mainly by German government money, has been implanted in New York City. It has been subsidizing the New York City social democratic Left. Jacobin Magazine, a new social democratic opinion magazine, is promoted on all sides. The near-universal praise of Thomas Piketty’s new book, Capital in the 21st Century, is part of the recovery strategy. Piketty, a bourgeois economist who has documented the massive growth of inequality, uses Marxist-like language in places, but he rejects socialism, that is, system change, opting instead for a tax on the rich. He wants to get rid of neoliberalism, but not capitalism. In general, social democratic economists blame the economic crisis since 2008 on neoliberalism, not the inherent nature of capitalism. Then, there is the campaign to promote petty bourgeois recipes, such as co-operatives, as the alternative to capitalism. On and on it goes. Social democracy at the service of the ruling classes. The struggle of the Communist Party. Revisionism, a historical phenomenon hostile to Marxism. Revisionism, claiming that the socio-economic conditions had changed radically, expressed itself as a current openly hostile to Marxism, rejecting the basic postulates of Marxist science: In the sphere of philosophy, it denied its partisan and class character, being in tow of the bourgeois “science” and dragging along after the “neo-Kantian” thinkers . In economic terms, it denied the theory of value, the law of capitalist accumulation and the law of absolute and relative impoverishment of the proletariat in the new conditions of capitalism. It was said that concentration and the ousting of small-scale production by large-scale production does not occur in agriculture at all. They defended the idea that the process of concentration of ownership proceeded very slowly in commerce and industry. They expressed the view that the big capitalist companies would end the anarchy of production and therefore reduce automatically the contradiction between the proletariat and the bourgeoisie. In the sphere of politics, revisionism sought to review what actually constitutes the basis of Marxism: the theory of class struggle. Political freedom, democracy and universal suffrage remove the ground for the class struggle —we were told by the revisionists—. For, they said, since the “will of the majority” prevails in a democracy, one must neither regard the state as an organ of class rule, nor reject alliances with the progressive, social-reform bourgeoisie against the reactionaries [ 5]. For Lenin, revisionism — revision of Marxism — was one of the chief manifestations, if not the chief, of bourgeois influence on the proletariat and bourgeois corruption of the workers . In short, Marxism-Leninism emphasizes three essential particularities of right-wing opportunism or revisionism: Revisionism is an international phenomenon, being a social product of a particular historical epoch. Revisionism regularly appears in the workers’ parties, given the cyclical nature of capitalist development, and it can adopt diverse forms. Right-wing opportunism, in reviewing the basic postulates of Marxism, distorts the revolutionary character of the workers’ party, deviating it from its main objective: the destruction of the economic and political power of the bourgeoisie . Faced with the reformist political practice that stems from the revisionists theoretical standpoints, Lenin argued that the bourgeoisie grant reforms with one hand, and with the other always take them back, reduce them to nought, use them to enslave the workers, to divide them into separate groups and perpetuate wage-slavery. For that reason reformism, even when quite sincere, in practice becomes a weapon by means of which the bourgeoisie corrupt and weaken the workers. The experience of all countries shows that the workers who put their trust in the reformists are always fooled. The bankruptcy of the Second International; social democracy and the imperialist war. Most of the Second International parties consummated their bankruptcy by betraying the resolutions of the Congress of Basel (1912), in which social-democratic parties had established its position opposing the forthcoming imperialist war and calling the world proletariat to actively fight against its triggering. However, on August 4th, 1914, the German and French social-democrats voted in their respective parliaments for the war credits, in favor of the imperialist war and became part of the governments of their countries, as later did the British and Belgian social-democrats, thus obtaining the trust of the bourgeoisie for the management of capitalism and thus changing from opportunist workers’ parties to bourgeois parties. Most parties previously grouped in the Second International suffered their first major historical mutation, transforming from socialist workers’ parties, in which lived together in hard struggle the revolutionary and the opportunist trends, into national-liberal workers’ parties, thus popping the International, inside which opportunism had gained strength during the relatively peaceful development of capitalism period between 1871 and 1914, into a thousand pieces. In the midst of World War, Lenin deepened in his characterization of opportunism. He defined as the economic base of chauvinism and opportunism the alliance between a few upper layers of the proletariat and the petty bourgeoisie – who took advantage of the crumbs from the privileges of “their” national capital – against the proletarian masses, against the working masses. He revealed that the old division of the socialists in the opportunist and revolutionary trends, typical of the era of the Second International (1889-1914), corresponded with the new division of chauvinists and internationalists. Advocacy of class collaboration; abandonment of the idea of socialist revolution and revolutionary methods of struggle; adaptation to bourgeois nationalism; losing sight of the fact that the borderlines of nationality and country are historically transient; making a fetish of bourgeois legality; renunciation of the class viewpoint and the class struggle, for fear of repelling the “broad masses of the population”(meaning the petty bourgeoisie)—such, doubtlessly, are the ideological foundations of opportunism. . It had been shown that, in the era of imperialism, the old theory that said that opportunism is a “legitimate nuance” in a workers’ party should be discarded, because it had become the biggest obstacle for the revolutionary development of the labor movement. The Second International had died, defeated by opportunism, the Third International had before it the task of organizing the forces of the proletariat for the revolutionary offensive against the capitalist governments, for civil war against the bourgeoisie of all countries, for the political power and the victory of socialism. The final mutation of social democracy after the Second World War. In the period between the First and Second World War, the centrist sectors dominated the Second International, enacting formally “revolutionary” and “Marxist” resolutions and but yielding in practice to the demands of right wing which, thus, strengthened itself to the point of forcing the involvement of social democracy in bourgeois governments in many cases. From this ministerial involvement in various countries – Britain, France, Germany, etc. – arise some issues that raise no doubts about the leap made by social democracy, from a reformist position, but a working class one, into a bourgeois position, between liberals and communism. Since the murder of Rosa Luxemburg and Karl Liebneckht to the anti-labor economic measures applied as a result of the capitalist crisis of 1929, all reveals the true nature of social democracy as a bourgeois party in charge of conducting the class conciliation in order to try to prevent and contain the revolutionary outbreak, opposing the development of the communist movement. The shameful role of social democracy during the rise of fascism, its refusal to compromise with the Third International and its petty-bourgeois vacillation in key moments of the class struggle, are key elements to understand how fascism came to take the State apparatus with relative ease in different countries. Their confidence in the legal methods, their rotten liberalism, proved that social democracy had become a defender of capitalism, making difficult the development of the policy of united front of the Communist International. The most blatant and definitive mutation of social democracy takes place after the Second World War. The victory over Nazi-fascism, the successes in the construction of socialism in the USSR, the global extension of the socialist bloc to a number of countries, the development of the contradictions in the capitalist countries of Western Europe as a result of the destruction of productive forces operated in the war, the reduction of the material basis of capitalism and the enormous prestige of the international communist movement among the working masses of the West, were factors that were driving imperialism to a dead end. Social democracy, hand in hand with its bourgeois masters, again finds its place in an attempt to neutralize the class struggle. Many social-democrat leaders in exile came in close contact with Anglo-American imperialists, setting up what would be the order following the defeat of Nazi-fascism in countries like Italy, Germany, France, Sweden, Norway, etc. The Frankfurt Congress, which established the Socialist International, takes place in 1951, and in 1959 the so-called Bad Godesberg program sets in writing the political positions of social democracy in the largest and most influential party of this trend, the German SPD, which would determine the programs of the other parties and their reconstituted International. That program formally abandons the reference to Marxism and places itself next to the “Christian ethics” and “humanism”, even without naming them. The times when social democracy needed to wear the Marxist label to fight the communist movement had passed. From that moment the struggle is an open one against Marxism itself. In the field of the class struggle, the workers’ struggle is subsumed within the struggle for “more democracy”, as the ultimate goal of the “democratic socialism”, whose horizons were vague and refer to economic factors that do not exceed the level of liberal reformism, accepting in its main terms the bourgeois economic theories, budgetary discipline, Keynesianism as a brake on the class struggle, and so on. Using the words of the program itself: “as much plannig as necessary and as much competition as possible”. If some doubts still remain, the program has references against “the totalitarian control of economy”, affirming the need for the existence of private property. As maximum horizon – never consistently applied – the reference to “economic democracy” in which the working class should be able to intervene in the management of private and public companies. Except in some productive sectors in Germany and other European countries, except that such participation was confined to specific management problems, as happens today with the participation of members of the company committees (the emblem of this social-democratic policy) in company boards, and exercised by the reformist trade union bureaucracy, such a thing was never applied in any country, despite having enough parliamentary majority to do so. In fact, the Godesberg Program, accepted internationally by the social-democrats, only found scope for public education and health, and always restricted to certain countries of Western Europe. The economic contradictions inherent to the so-called “Welfare State” – which was nothing else than a state of exploitation of the working masses sacrificed on the altar of capitalist and imperialist development – led to the outbreak of the capitalist crisis of the seventies and a change in the perception of most of the bourgeoisie, leaving the Keynesian principles and adopting a purely liberal approach, revisiting their old conceptions of “laissez faire”, separating the State from the direct economic intervention and taking it to exert its influence only through the budget and the monetary policy, undertaking the privatization of the public sector created in the previous period. Nevertheless, it is necessary to add that the Godesberg Program already renounced to these “direct” mechanisms and privileged the indirect ones, except in those sectors where State intervention was necessary to avoid the creation of private monopolies. In fact, the liberal version says exactly the same and even speaks of “mixed economy” to include these methods of state intervention. In the eighties and nineties of the twentieth century, the theory of the “natural monopolies in hands of the State” – energy, transportation, telecommunications and other strategic sectors – was abandoned and the ideas of a Central Bank whose monetary policy has the sole goal of inflation control over other considerations, as may be allowing some level of inflation to encourage bourgeois investment, were embraced. At that time and until the outbreak of the current capitalist crisis, the bourgeoisie gave priority to privatizations, commodification of productive sectors at the margins of the action of the law of value – whose scope had been modified by the intervention of state powers – and the internationalization hand in hand with large monopolistic firms that had accumulated large amounts of capital in the preceding period. At the same time, the political conditions in which the labor movement has to defend their living and working conditions worsen, the repression against the revolutionary movement and the militarization of the economy increase, and the deployment of imperialist war is enhanced. Nowadays, social democracy has a certain attachment to the labor movement through the reformist trade unions, where it maintains a discourse of “defense of the workers”, purely economic and which tends always towards the reconciliation with the bourgeoisie. Its mission is to ensure social peace and the impossibility of the development of a workers’ response that can be transformed, as a result of their increased militancy and organization, in development of the class consciousness, the passing from class consciousness in itself to class consciousness for itself, a revolutionary alternative to dying capitalism. In the capitalist crisis in which we are now submerged, social democracy has a very clear mission: to implement the measures contrary to the interests of the workers keeping the class conflict within the limits set by the oligarchy. Thus, while adopting legal measures that are contrary to the most elementary rights acquired over decades of struggle of the labor movement (collective bargaining, the right to severance pay, a decent amount of the minimum wage and pension, etc. ), they keep the control over a trade union bureaucracy deeply linked to social democracy and the bourgeois state apparatus. The “social contract” positions are intended to chain the labor movement to policies that are clearly contrary to their interests, that favor the monopolies and vent the contradictions that have exploded with the capitalist crisis on the shoulders of the working class and the popular strata. This is to revive the declining trend in the rate of profit, to promote the cycle of expanded reproduction of capital and, for that, to intensify the exploitation rate. In this mission, social democracy plays a crucial role: the role of the firefighter that tries to fight the fire even before it occurs. Petty bourgeoisie and labor aristocracy. In order to preserve the support of its social base of the petty and middle classes that share the petty autonomy at work, address specific groups of workers and a shift away from machine, social democracy, as the lead organization of petty bourgeois reformism, maintains a policy to isolate these groups from the labor movement and prevent the formation of a popular and workers front with hegemony of the proletariat through its political vanguard, which can become a revolutionary alternative to capitalism. Within this field, social-democratic policies are in the spirit of supporting the petty bourgeoisie with public funds as exemptions from paying social security, trying to ease, without success, the situation of small producers against the large ones. In the trade union field favoring the middle class against most workers, promoting better working, social and economic conditions for these groups. These sectors were the old basis of the bourgeois reformist policy of the years of the “Welfare State”, when favored over a mass of workers condemned to conditions of extreme exploitation and devoid of any union support. This has the effect of worsening conditions of life and work of the proletarian majority, the intensification of its exploitation and also its growing isolation from other classes and sectors. Yet the capitalist crisis has severely beaten the middle strata and the petty bourgeoisie who see their living and working conditions worsen as a consequence of the development of capitalist contradictions, showing also for these groups the failure of reformism. At the same time, social democracy extends the petty bourgeois ideology of the “citizenship” where we all have equal rights before the law, ignoring class differences, the position of each one in respect to the ownership of the means of production and to the work, influencing the workers to defuse the class struggle precisely among those who most suffer exploitation and are most in need of assuming their historical role as a revolutionary class. In a similar way, the role played by the labor aristocracy is essential in the maintenance of social democracy and the strengthening and spread of revisionism within the labor movement. Comrade Eleni Bellou  offers the following analysis of this phenomenon: “Of course what happens at the level of consciousness, in this case revisionism, is a reflection of socio-economic developments-sections of the working class in advanced capitalist countries experienced higher wages and better living conditions due to the super-profits which capital obtained in their countries, having for example the monopoly in foreign trade (Britain until the end of the 19th century), the ability to exploit raw materials and cheap labor in less developed societies. The offspring of these sections of the working class and of the labor aristocracy in the trade union and political movement, absorbed bourgeois propaganda through the education system, and they were incorporated into the widened state mechanisms-either into the “services” of the bourgeois state (education, health, welfare) or into purely administrative mechanisms ( tax office, local government bodies, maintenance of state property etc) or into state or semi-state industries (banks, public utilities, energy, water, telecommunications industry, tourism etc). The buying off of sections of the working class and in dynamic sectors of capitalist industry was achieved in combination with the extensive buying off of scientists, who were of working class background; thus we can see that the widening of the social basis of opportunism and the strengthening of revisionism are interconnected phenomena. “Left social democracy,” the revisionists and the communist movement. Social democracy became also an active participant in the international class struggle against the socialist camp.The role that social-democratic parties had to play was to weaken the communist parties, organize and strengthen a non-communist labor and trade-union movement. Together with other fiercely anticommunist parties – the Trotskyists – the mission assigned by imperialism was clear: the fragmentation of the labor movement, consolidate an anticommunist reformist trend and prevent the development of class struggle in capitalist countries, as well as assist politically, economically and otherwise to counterrevolutionary movements that were developing in countries that were actively constructing socialism. The CIA had a section for those parties: “non-communist left”, which received political, logistical and economic support. Together with the openly hostile and counterrevolutionary role with respect to socialist countries, social democracy has also historically played a role of political penetration of the communist parties. Even before World War II, social democracy sought support within the communist movement to reach agreements that would link these parties to bourgeois policies. But it was later, in the immediate postwar years, when strong reformist tendencies appear within the communist parties that crystallized in the so-called “Euro-communism”. This process was possible to the extent that the international communist movement, stuck in the fiction of the existence of an intermediate, democratic and anti-monopoly stage between monopoly capitalism and socialism, subordinated its strategy to a parliamentary alliance with social democracy that would ultimately have serious consequences for the working class and the international communist movement itself, which found immense difficulties to define a revolutionary strategy in the new conditions after the war. Such revisionist tendencies, fully triumphant in most parties of Western Europe, had the same social basis of old social democracy and followed the same path that was previously followed by the social-democratic parties. As a reflection, they represented the interests of the petty bourgeoisie and the middle strata of the labor aristocracy and sections of the trade union bureaucracy. They arrived to the unabashedly reformist conclusion that socialism could be built in Europe through a parliamentary agreement with social democracy, using only legal means, constitutional means, reform after reform, reaching a point at which socialism would have been built. This vision, utopian in the sense of being reactionary, was a dead end that found its own limits with the change in policy of the bourgeoisie as a result of the economic crisis of the “Welfare State”. The bankruptcy of Euro-communist revisionism is currently suffered by numerous workers’ detachments throughout the capitalist world, especially in the European countries, where the heirs of Euro-communist organizations, keeping in some cases the communist acronyms and symbols or having abandoned it in others, aware of the mutation of a social democracy that had become a bourgeois party several decades earlier, seek to occupy the left flank of the bourgeois parliaments. This always in an alliance subordinated n one way or another to the social-democratic parties and always under the banner of reformism that waves within the margins of the system. Furthermore, they also agree and coincide, not by chance, in a generally favorable view of the European Union, the imperialist project of the oligarchy of the member countries. They want to become the party of “left” acceptable to those institutions, accepting the fundamentals of European construction, the undemocratic and anti-labor rules for its operation and its one-way monetary and economic policies, the blackmail to which they subject the peoples of Europe in the capitalist crisis, and ultimately, the policies imposed in each moment by the bourgeoisie. Today these opportunist parties are organized in the European Left Party and they constitute an obstacle to the development of class struggle, they stand as a brake to the development of class positions and class consciousness; ultimately they are natural allies of social democracy, they are its current left-wing, fulfilling the task of introducing reformist and petty bourgeois ideology in the workers’ field, to support a false social peace that will ensure a political framework for the anti-labor measures that capital has to apply to maintain its profit rate and save the day. Some final considerations. A part of the social base of social democracy and revisionism, is constituted by the working strata with a low class consciousness who join the struggle to defend their immediate interests in face of the increasing aggression of capital. When these sectors, with little political background and no class consciousness join the struggles that should trigger the class to defend its interests they do, necessarily, from an ideological point of view. Indeed, the fact that these workers’ sectors do not have class consciousness for itself does not deny the fact that they have, like all people, an ideological worldview which allows them to insert themselves into society. Such a worldview that does not come entirely from class position, must necessarily come from its opponent, if we agree with Marx that within the class-divided societies the dominant ideology is the ideology of the ruling class. Their worldview, therefore their ideology, if it is not proletarian it necessarily has to be bourgeois or petty bourgeois. It consists in some adjustments of the ideologies of the bourgeoisie or the petty bourgeoisie to the living conditions of the working class, and the most historically appropriate to these functions is precisely the “economicist” ideology, a reformist one touted by the social-democrat trade unions and parties, and also by the opportunist parties of the EL Party and other similar to them. This ideology fits the workers’ conditions, but does so from the bourgeois standpoint, defending small changes in capitalism that can improve or alleviate the current conditions which are applied to the proletariat. Similarly, and seemingly in an opposite sense, we might consider the utopian-revolutionary ideology which, despite its alleged revolutionary character, is powerless to lead the revolutionary struggle and ends by advocating measures which, if possible, would mean only small changes keeping the fundamentals of capitalist exploitation. The mission of social democracy and their trade union confederations within the labor field is to prevent that position, which is an objective stage in the development of consciousness in these sectors, to evolve into the assumption of a purely proletarian ideological position under the prism of Marxism-Leninism, and that tends to confrontation with capitalism, towards its revolutionary overcoming. Therefore, besides the existence of the social sectors previously referred to – petty bourgeoisie and middle strata – the sectors that have little awareness, the stragglers, can also be a support base for revisionism in general and social democracy in particular within the class movement. The communist parties have to deal with these positions and we will have to do so in the future, under very different political, social or economic conditions, until the overcoming of the class conflict itself, until the highest and final stage of socialism-communism. In these various conditions, reformism will take different political positions but, in essence, will ry to adapt the labor movement to the positions of the class enemy, by accepting the battlefield and the fight rules that the enemy considers lawful and denying the need to overcome the capitalist system that generates the contradictions that keep the labor movement in a subordinated position . The primary mission of the communist parties in this field, generally in trade union action, is to raise that economic awareness, which does not go beyond capitalism, to revolutionary political consciousness, so that these sectors abandon the ideological theses of the petty bourgeoisie (in addition to the above mentioned we could mention the idea that the State is neutral in the class struggle, that the law is sacred and that all the provisions of the laws are met, the idea of independence of the judiciary, the separation of powers and other petty bourgeois naiveties that objectively block class struggle) and embrace the ideological theses of their own class. This is possible precisely because the proletarian ideology of Marxism-Leninism is only a reflection in the realm of the subjective field, of the economic conditions suffered by the exploited. In other words, any attempt at a social level of trying the same with non-proletarian sectors is doomed to failure, regardless of whether, individually, many members of the petty bourgeoisie and the middle layers approach the working class and even adopt its worldview in face of the development of capitalist contradictions. The communist movement is forced to learn from its mistakes. The conditions under which the capitalist crisis places the class struggle requires a frontal attack against the positions of integration that social democracy and revisionism promote in the workers’ ranks. Nowadays, having the necessary perspective and when there is no doubt about the bourgeois and imperialist character of many sections of social democracy during World War II, the communist movement has to analyze rigorously the policy of the united front of proletariat with the social-democratic parties adopted by the 7th Congress of the Comintern, as it entailed a series of consequences which have great importance for the international communist movement. The links of prominent social-democrat cadres with the oligarchy have deepened since then. As an example, we can mention the participation of the former president of the Spanish government, Felipe González – former Secretary General of PSOE – in the so-called “Father’s and Son’s Business Meeting”, a private initiative that brings together businessmen from all over Latin America and their heirs in order to share the “recipes of success in business” and speak about “the social issues that worry the world”. Some of the oligarchs who participated were, among others, Carlos Slim, the second richest man in the world; the Colombian tycoon Julio Mario Santo Domingo; the Venezuelan businessman Gustavo Cisneros; the Argentinians Paolo Rocca, Federico Braun and Alfredo Román; the Chileans Andrónico Lucksia and Álvaro Saieh or the Brazilians Joao Roberto Marinho, David Feffer and Antonio Moreiras. (Publico newspaper, Madrid, 08/03/2009, news from Agency EFE). Basic program of the SPD. Bonn, 1959, p. 5-17. About some movements which, like the known as “15M” or “movement of the indignados”, never go beyond the social-democratic approaches, we refer to the Statement of the Executive Committee of the PCPE on the mobilizations started onMay 15th, issued on May 19th, 2011, which can be found in http://www.pcpe.es/comunicados/item/268-sobre-las-movilizaciones-iniciadas-el-15-m.html. 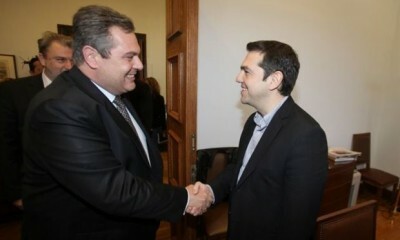 Member of the Polit Bureau of the Communist Party of Greece. Quote from her article “Ideas on a new international. Internationalism in Marxist theory”, written after the invitation of the Turkish Communist Party to the meeting organized by the Marxist-Leninist Research Centre of Turkey. The article was published in the theoretical journal of the KKE (KOMEP, issue 6 of 2010). The President of the Spanish Congress and leader of the PSOE, José Bono, declared in public that the “class struggle” in 21st century “is a bash” that “is not even believed in China”, that nowadays jobs have to be created “basically” by the businessmen with the “help” of the public administrations so, he noted, PSOE will not campaign “against those who create wealth and jobs”. Words reflected in the Spanish mass media on May 9th, 2010. Agency Europa Press. Speech of comrade Aleka Papariga, Secretary General of the KKE, before thousands of workers, on May 11th, 2011.